These days many gardeners are using their garden spaces to grow a mixture of ornamental and edible plants. These multi-functional beds allow gardeners the opportunity to grow their favorite fruits or veggies at home year after year, rather than running to the grocery store weekly for fresh produce. 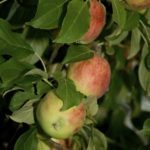 An apple tree that not only produces an abundance of fresh fruit but also makes an appealing landscape plant is Sweet Sixteen. Continue reading to learn how to grow a Sweet Sixteen apple tree. Sweet Sixteen apples are loved by apple fans because of their sweet, crisp fruit. This apple tree produces an abundance of medium to large mid-season apples. The skin is a blushing pink to red color, while the sweet, juicy, crisp flesh is cream to yellow. Its flavor and texture has been compared to that of MacIntosh apples, only Sweet Sixteen is described as much sweeter tasting. 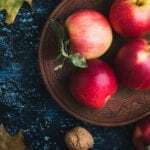 The fruit can be eaten fresh or used in a variety of apple recipes, such as cider, juice, butter, pies, or applesauce. In any recipe, it adds a unique sweet, yet slightly anise-like flavor. The tree itself can grow up to 20 feet (6 m.) tall and wide, providing a uniquely shaped small to medium sized flowering and fruiting tree for landscape beds. Sweet Sixteen apple trees produce small, sweet-smelling blossoms in spring, followed by fruit which is ready to harvest in mid- to late summer. Sweet Sixteen apples do require a nearby pollinator of another apple species to produce blossoms and fruit. Prairie Spy, Yellow Delicious and Honeycrisp are recommended as pollinators for these trees. Sweet Sixteen apple trees are hardy in U.S. zones 3-9. 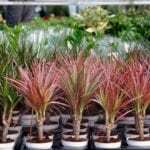 They require full sun and well-draining soil that is rich in organic matter for proper growth. Young Sweet Sixteen trees should be pruned regularly in winter to promote a strong, healthy structure. At this point, water sprouts and weak or damaged limbs are pruned out to redirect the plant’s energy into strong, supportive limbs. Sweet Sixteen apples can grow 1-2 feet (.30 to .61 m.) per year. As the tree ages, this growth can slow down and fruit production may also slow. Again, older Sweet Sixteen trees can be pruned in winter to ensure new, healthy growth and better fruit production. Like all apple trees, Sweet Sixteen can be prone to blights, scabs and pests. Using a horticultural dormant spray in winter for fruit trees can prevent many of these problems. In spring, apple blossoms are an important source of nectar for pollinators, such as orchard mason bees. To ensure the survival of our beneficial pollinator friends, pesticides should not be used on any apple with buds or blooms.